Tree[d] is particularly useful for OpenSim based worlds with mesh, as large numbers of mesh triangles add up quickly in Second Life. 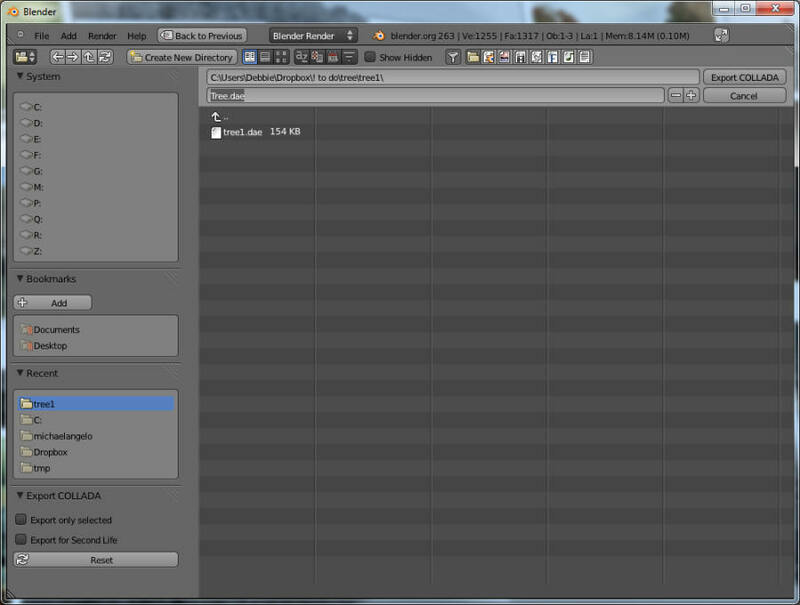 Once you have created you tree, you can make an infinite number of variations with just one click of the mouse. 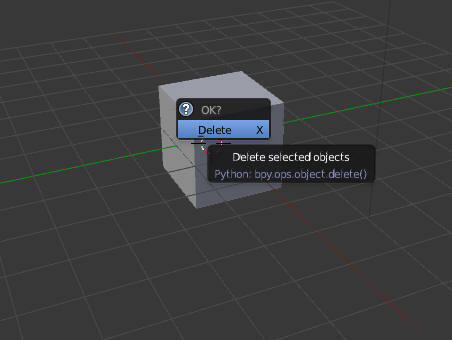 Tree[d] is free to use and the models you make are freely transferrable. But there is one catch: You CANNOT sell them. The output of treed[d] is really free! I wasn't sure I had read the license correctly. It indicates that you cannot sell the trees but did not mention transfer, so I contacted the creators. Mikkel Fredborg, Technical Director and Founder said "You are free to use the trees for anything, except selling them as individual models or in model bundles. Ie. you are not allowed to sell a tree you make for 1$, but you can give it away for free. If the trees are incorporated into a larger work, you are free to use them in any scenario both commercial and non-profit." Shows the triangle count before you pay to upload it. 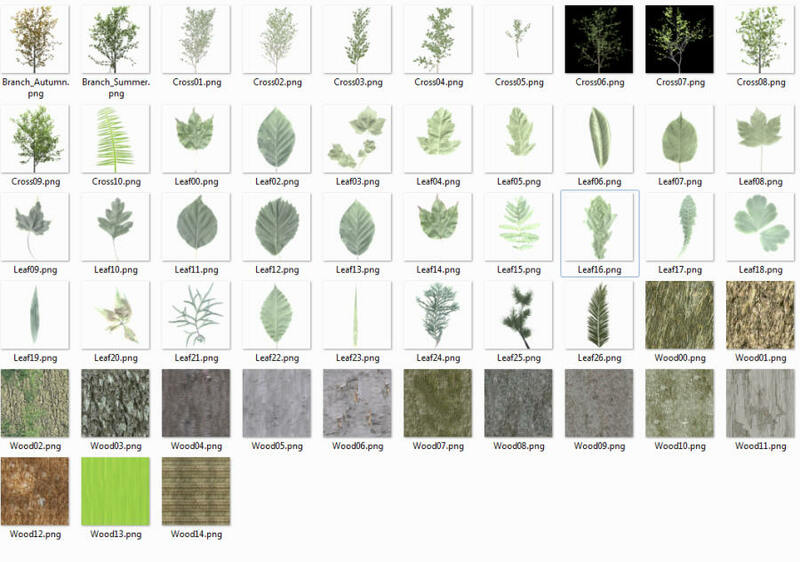 Changeable textures for trunks, branches and leaves. This makes it really easy to make unusual trees. Get Treed[d] V3.10 and install it. Right click = Zoom. Move the mouse back and forth while holding down the right mouse button to zoom. + : Click the + sign next to a menu to collapse or expand it to fit your screen. Go play! 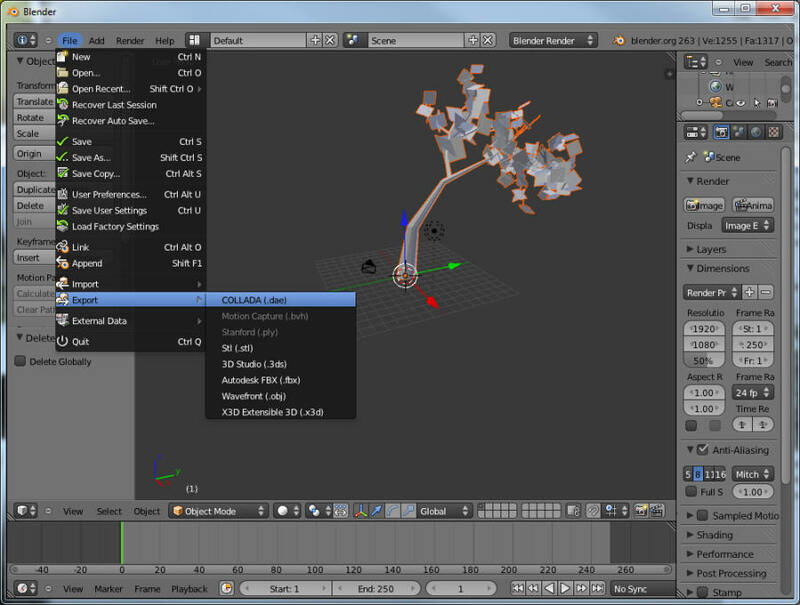 There are dozens of parameters for making trees. Once you are done, you will need to take one additional step to upload it and use it. 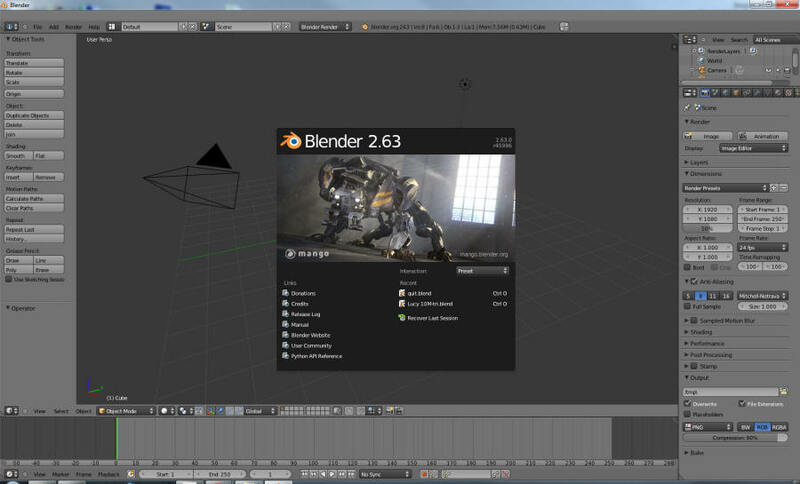 Blender is notoriously difficult to use, but exporting to Collada is easy. 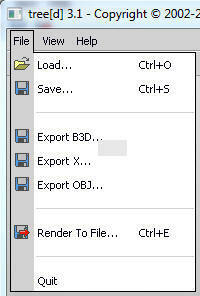 First, download and install Bender. Type a name in the entry field where it says .dae at the top of your screen and press Export COLLADA at the top right"
Now your file is ready is upload to Second Life or OpenSim. 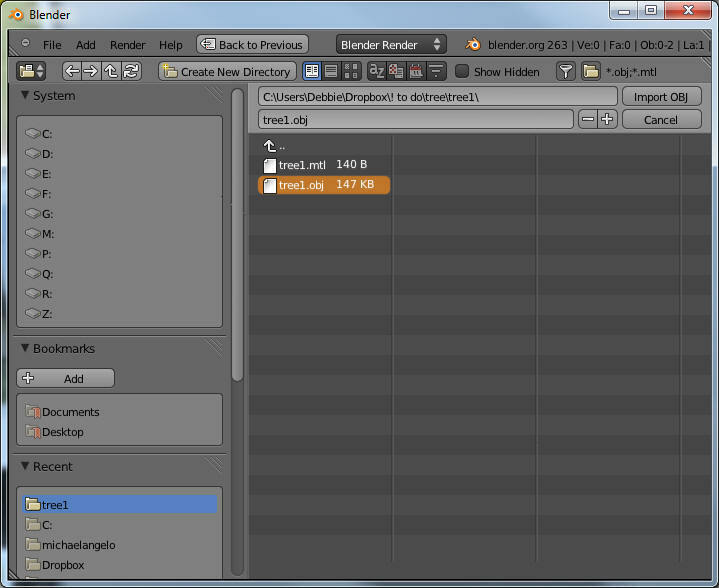 Second Life uses the number of vertexes in your tree to determine the cost of uploading and the land impact. 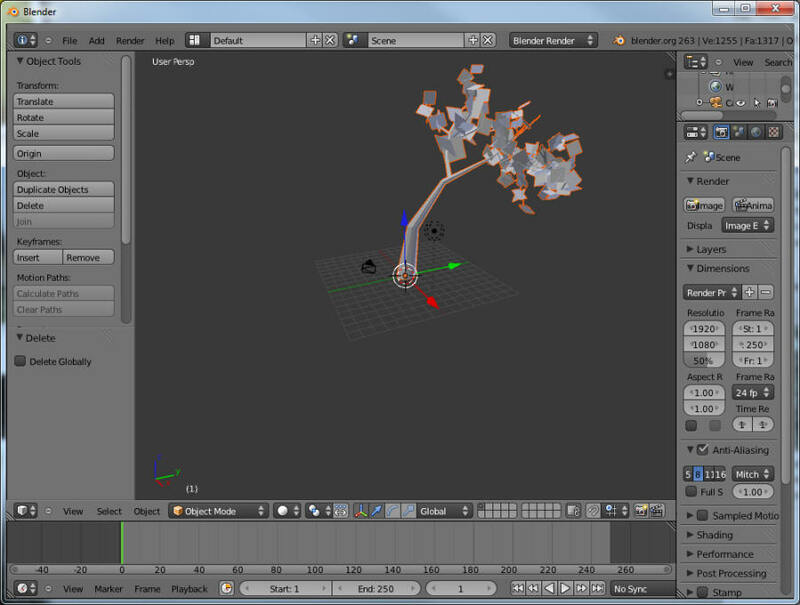 It also adds in the physics model of the tree to detect collisions. 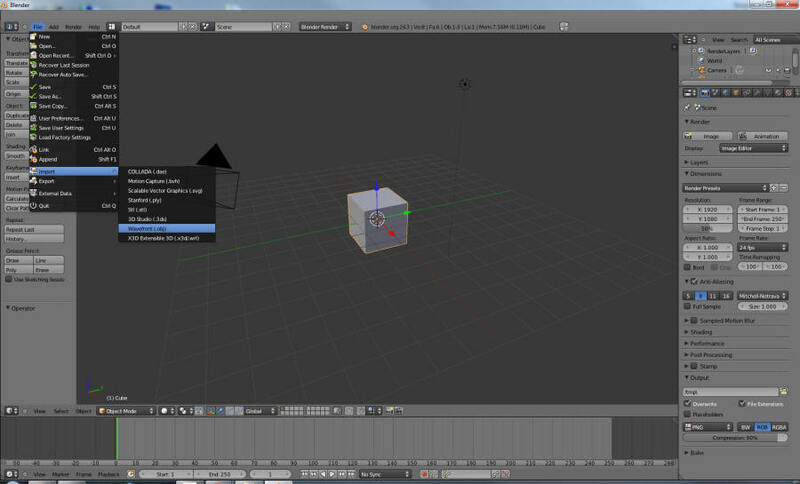 In addition, special reduced Level Of Detail (LOD) models are also uploaded automatically. LOD 'falls off' with distance, so people will see a low resolution tree as they get further away. You can adjust all these parameters to get the best looking tree for your needs. 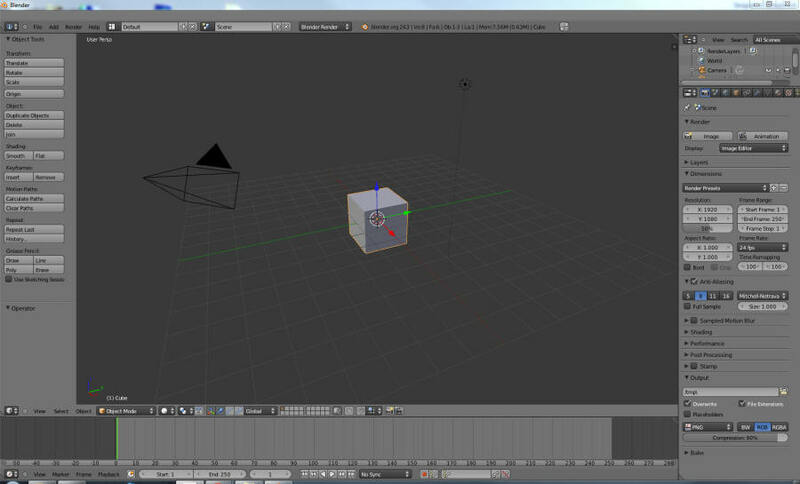 Set the Physics model to lowest possible. 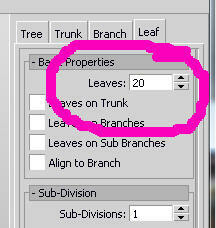 Your tree needs two textures, for the trunk and leaves. Locate the textures you used in making the tree and upload them. 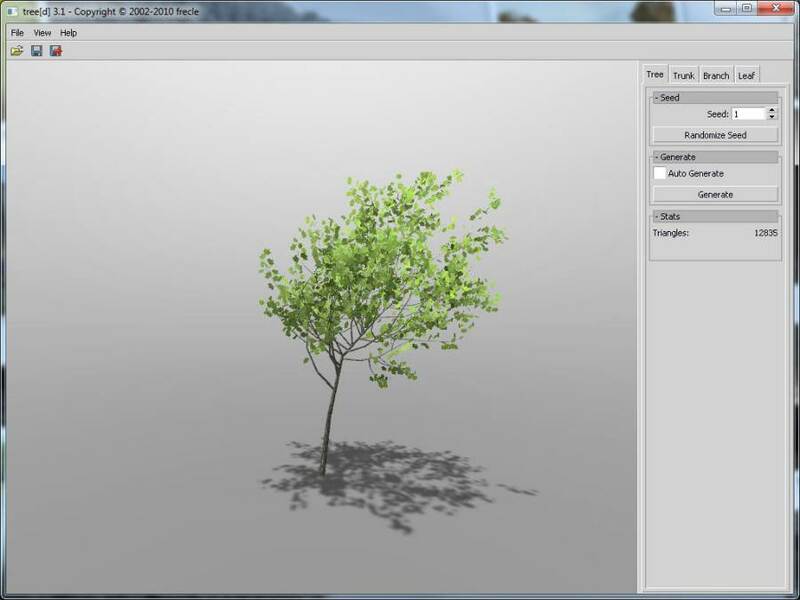 Put each texture on your tree and it will look almost identical to the preview you saw in this lovely program. 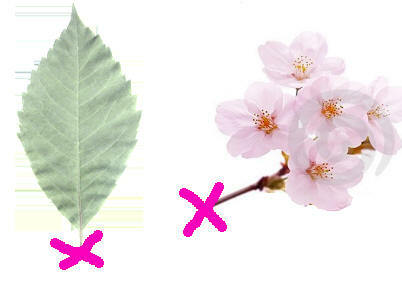 The only difference will be you can see only one side of the leaves. You did remember to double the number before you exported?